Underwater video footage shows one occupant visible in the wreckage of the plane which was carrying Cardiff City footballer Emiliano Sala. Sala and pilot David Ibbotson disappeared over the English Channel on January 21 after leaving France for Cardiff. The technology company is alleged to have rearranged its tax affairs, after changes were made to controversial Irish tax practices. 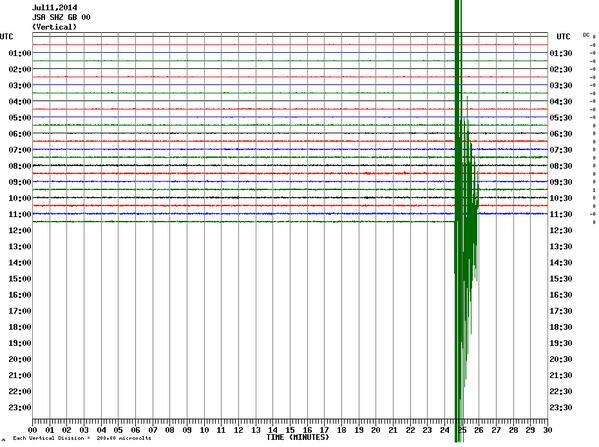 Jersey Met Office has confirmed that the Channel Island earthquake was the "biggest for the past 90 to 100 years". Spokesman Tony Pallot, who felt the quake, said: "We are based at Jersey Airport on the first floor of arrivals, and we suddenly heard this quite loud rumble, crashing-type sound." Tim Phillips, general manager of the Club Hotel and Spa in St Helier, was in a meeting with up to 30 people when the earthquake struck. He said: "The building shook for about 20 seconds. It wasn't violent, but it was enough to make everyone question what was happening." The British Geological Society has warned of aftershocks following the largest earthquake in the Channel Islands for almost a century. The BGS spokesman said: "Small earthquakes do occur in this region from time to time. It is not unusual for earthquakes like this to be followed by aftershocks. "We get an earthquake of magnitude 4 to 4.9 roughly every two years." Up to 300 earthquakes are detected in the UK by the BGS annually. The biggest earthquake in Jersey and Guernsey on the Channel Islands for almost 90 years has struck, with a magnitude of 4.2. Rumbles of sounds were heard as windows rattled when the quake struck at a depth of seven miles around 12 miles west of St Helier at 12.54pm. The British Geological Survey (BGS) said it was the largest earthquake to have hit the region since a 5.6-magnitude quake on February 17, 1927.A spokesman for the BGS said it was also felt weakly on the South Coast of England, but only caused "very minor" damage. One local thought a plane had crashed nearby, while another reported that the impact was enough to make them jump and go outside. An earthquake has hit off the coast of the Channel Islands. The disruption lasted a couple of seconds and shook the islands just before 1pm. Initial indications show the epicentre was approximately five miles west south west of Jersey at a depth of 10km. A spokesperson for Jersey Ports has confirmed all five crew members aboard a rescue plane that crash landed on Jersey's north coast are safe and accounted for. Alan Donald confirmed the plane was being used in a search for two adult men believed to be missing in a dinghy. The search for the pair continues. For more on this story, see ITV News Channel Islands.